If you haven’t yet caught the fever of this highly addictive digital scavenger hunt, Arlington’s a great place to get your Pokemon game started. Find out where we know stops and gyms are. Three outdoor concerts at the Levitt Pavilion (Dirty Dozen Brass Band, Oil Boom, Jaret Reddick/Deep Blue Something) and live music at Sherlock’s Pub (Downtown Fever, Limelight, DJ Rob), Stumpy’s Blues Bar (Pinkman, 3 Day Bender) and more. If there’s anything that’s more refreshing than an ice-cold frozen daiquiri or a growler of craft beer you can pick up and take home on a hot summer day (or night), we haven’t heard about it—and that’s exactly what’s waiting for you when you drive by the brand new Eskimo Hut and snag some frosty weekend cheer that’s sure to satisfy. Hours: Open until 11 p.m. on weeknights and midnight on Saturdays. The rain can’t last forever! 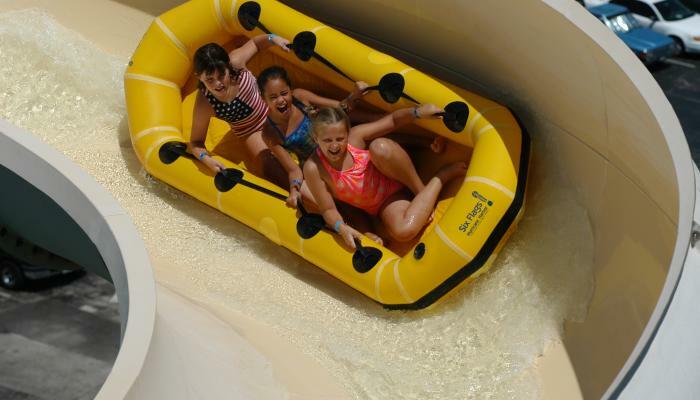 Cool down and play the weekend away at Hurricane Harbor—and be sure to check out the all-new American Grill, featuring music, food and fun. Hours: Friday-Sunday, 10 a.m. to 8 p.m. Tickets: Get your discount tickets here. More. Rain or shine, you can indulge your need for speed any time at one of the nation’s premiere indoor karting race tracks. Pricing: Begins at $19.99, see website for pricing packages. Hours: Open until midnight Friday and Saturday and until 10 p.m. on Sunday. More. It’s the freakiest place around, baby. Shrunken heads, vampire killing kits, two headed animals, one-of-a-kind artwork, tons of hands-on interactives, and the Louis Tussaud’s Palace of Wax, plus a lot more. Open Mondays-Fridays from 10 a.m. to 5 p.m. and on Saturdays and Sundays until 6 p.m. Ticket packages vary. More. Head to UTA’s College Park to cheer on the Dallas Wings as they face Minnesota. Time: Sunday at 3:30 p.m. Tickets begin at $15. More.